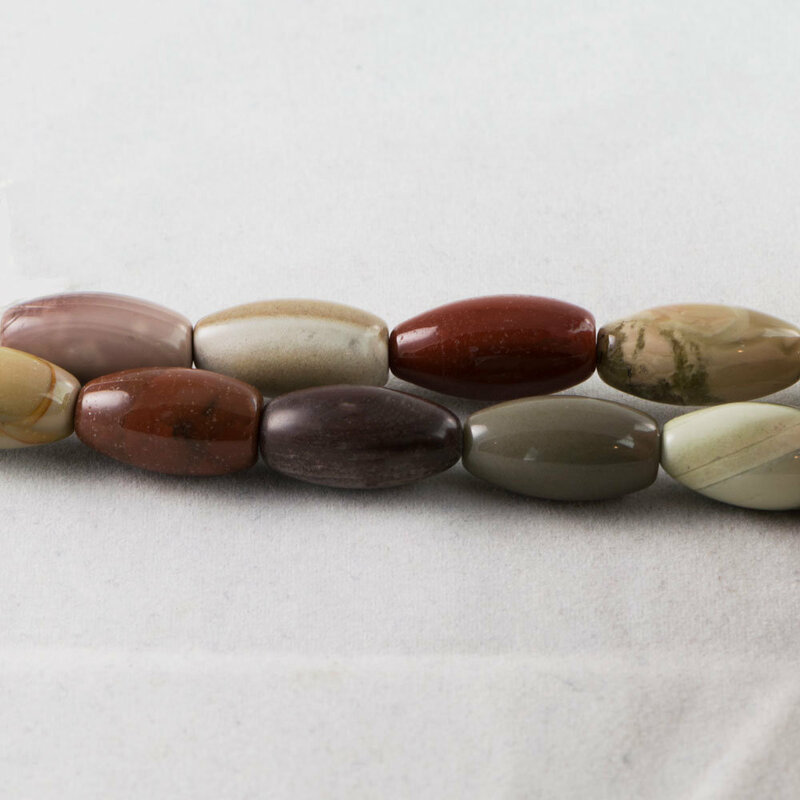 Imperial Jasper occurs naturally in a beautiful range of colors including pinks, mossy greens, burgundy and milky white, with striking patterns of parallel banding. Jasper has a long and illustrious history, having been worn by shamans, priests and kings and believed to be a powerful protection stone. Ancient Egyptians sometimes buried their dead with amulets of Jasper for safe passage into the afterlife. Approx. Bead per Strand: 13.